Google Analytics is one of the most effective tools used by businesses today – it helps you understand how your website is performing and discover new insights to grow further. One of the coolest things about analytics is that you have access to a near infinite amount of data that can tell you anything and everything about your website and what your visitors have been up to, from understanding the customer demographic, and user behaviour, to finding out if you are reaching your goals. But so many business owners today don’t use (or don’t know how to use) Google Analytics to their full potential, not realising there’s so much more to it than just the number of visitors and the top pages. Website analytics makes it much easier to understand your customers preferences and behaviour. When they land on your website they bring with them a lot of traits and answers about what caused them to come to you, e.g. they may have searched on google or clicked through from an ad. This information helps you understand how to spend your marketing dollar and how to make smart decisions. People who come to your website may not always make a purchase or contact you directly, some might be looking for your nearest store, existing customers who need help, or enthusiasts who may buy from you in the future. Remember, all visitors are important. You never know how or when they may convert, or how many conversions they may bring with them. Analytics helps you see where the user might be in their journey, so you can use this information to target your approach accordingly. How well do your campaigns run? How many visitors get converted to customers? Where do they come from and where do they go? 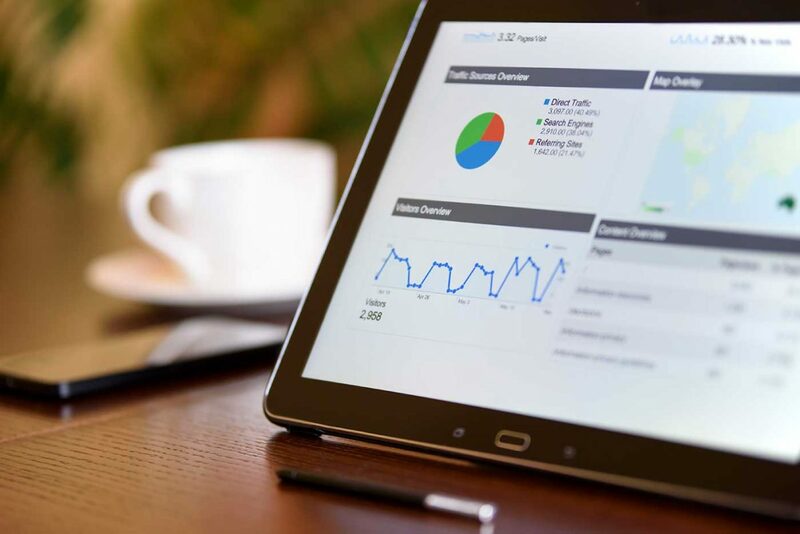 Web analytics answer these questions for you, telling you how well your website is performing and giving you the information you need to direct future marketing activities. Why do people come to your site and what do they do there? Were they satisfied with the time they spent? Which geographic area are visitors coming from? Did you make money out of it? What content works? What doesn’t? By answering these questions, you can identify new opportunities and grow your business in the direction that has the most potential. Like most tools, Google Analytics takes time and practice to make the most of it and use it effectively. ninetyblack has analytics experts who can help at any step of the way – from understanding how to use Google Analytics to completing a full analysis of your website. Let us do the hard work for you. Talk to our digital marketing experts today.